Konstantinos Efthymiopoulos has an international career of more than 25 years in big pharma, biotechnology and VC-backed companies covering research, clinical development, registration and product launch for therapeutic products, drug delivery and diagnostics/medical devices. He is currently the founder and Managing Director of PLUS Life Sciences Consulting Sàrl which provides strategic advice and management support to life sciences organisations. He is also the Chairman of the Board of SynAffix BV, a VC-backed Dutch company. Most recently, he was the Chairman of Eporgen (a private Italian holding company with a portfolio of 11 life sciences start-ups), and the CEO of Funxional Therapeutics (a Cambridge, UK, based VC-backed inflammatory diseases company). 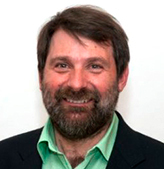 He has also been an Advisor to Index Ventures, the Chief Scientific Officer and Head of R&D of Eurand (Italy) and the Corporate VP-Head of Dermatology of Serono based in Geneva, Switzerland. Earlier appointments were in Glaxo/Glaxo Welcome in the UK, and Head of Pharmacokinetics in Farmitalia-Carlo Erba in Italy. 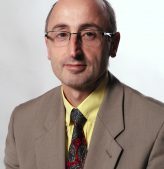 Konstantinos previously held positions as Visiting Professor and Senior Lecturer in the Universities of Strasbourg, France and Padua, Italy. He is the author/co-author of over 60 scientific publications and presentations in international scientific meetings and of four patents. He graduated in Pharmacy from the University of Athens, Greece and holds a PhD in Pharmacokinetics and MSc degrees in Pharmacology and in Industrial Pharmacy from the University of Strasbourg, as well as an MBA from the London Business School. Nicolas Cottier is a practicing lawyer and has been admitted to the bar at the Canton of Vaud. He has a postgraduate degree in European Law from the University of Saarbrücken. He established the law firm CDC Attorneys-at-law LLC in August 2013. Previously, he was a partner at KPMG Europe LLP and head of the legal department at KPMG SA in Lausanne, which he joined in January 2000. Mr Cottier is predominantly active in the field of mergers and acquisitions (M&A) and has extensive experience in transactions, due diligence and contract negotiations. He is also experienced in restructuring and corporate consolidations, accounting law and corporate governance. The law firm CDC provides external legal services to clients. This includes legal advice, notably in labor law, and legal representation before the court as well as legal secretarial work, within the general field of business law. Corporate law as well as foundations and associations law, contract law, labor law and immigration law are thus part of the fields of competences of CDC. 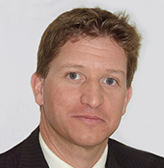 Mr Cottier has a strong network in Switzerland and abroad, developed over the years, which enables him to provide clients with advice on matters relating to taxes, accounting and finance. He holds a range of directorships and puts to use the various skills that he has acquired and developed within a large international accounting firm. Nouria Hernandez was born in Geneva in 1957. She obtained a Master’s (diploma) in Biology from the University of Geneva in 1980 and a PhD in Molecular Biology from the University of Heidelberg en 1983. She did postdoctoral research at Yale University, in New Haven, Connecticut, USA. In 1987, she joined the Cold Spring Harbor Laboratory, a research institute famous among biologists, located on Long Island, New York, USA, as a Senior Staff Investigator. In 1994, she was selected by the prestigious Howard Hughes Medical Institute, which then supported a large part of her research. In 2004, she spent a sabbatical at the University of Lausanne and joined the faculty there as a Professor and Director of the Center for Integrative Genomics in the Fall of 2005. As of August 1st 2016, she will be the Rector of the University of Lausanne. The research of Dr. Hernandez focused on mechanisms of gene regulation in mammals. She was elected as member of the European Molecular Biology Organization (EMBO) in 2007 and, that same year, received the Prof. Dr. Max Cloëtta prize. 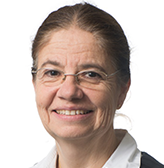 From 2008 to 2014, she was a member of the central committee of the Swiss Academy of Natural Sciences, and in 2014 she was elected to the Academia Europaea. Mr. Pierre-Antoine Hildbrand was born in 1976. He holds a degree in law from the University of Lausanne (2001). He worked as an assistant at the University of Fribourg and then as general secretary of trade associations and family allowance services at the Centre Patronal from 2005 to 2016. Mr. Hildbrand entered the Lausanne Municipal Council in 2008, headed the PLR group since 2010 and chaired the Finance Committee in 2012. In 2016, he was elected to the Municipality of Lausanne and became head of the Directorate of security and economy. He is married with 2 children, officer in the Swiss army and former president of the Jeunes Radicaux Vaudois. 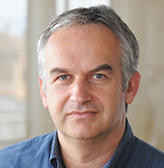 Maurice Mischler has a PhD in Mathematics from the University of Lausanne and the University of Besançon. He has previously worked as an assistant, first assistant and substitute professor in the faculties of science and social and political science at the University of Lausanne, as well as in high school teaching – a profession he continues to happily pursue on a part-time basis. He has published a number of research articles and maintains an interest in establishing new theorems. He also completed professional training in music at the Lausanne Conservatoire. In 2011, he was elected Mayor of Epalinges. His responsibilities include general administration, finance, personnel, culture, communication, information technology and religion. 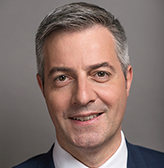 He is a member of the Board of Directors of Transports Publics Lausannois and various intercommunal bodies, including as vice-chairman overseeing the city center blueprint for the conurbation project in Lausanne-Morges (PALM). Michel Stafffoni was appointed General Secretary of the Financial and external relationship of the Canton de Vaud by the State Council in July 2013. Born on September 28, 1966, Michel Staffoni has earned a postgraduate diploma in micro-technology and started his carrier in technical purchasing in the spectrometry and luxury watchmaking industries. In 1992 he spent 5 months in Valencia (USA) where he managed the restructuration of a spectrometry production chain. As of 1992 he was appointed to the board of directors and the executive committee of Sainte-Croix’s hospital, where he managed the construction commission in charge of the new Care Centre of the « Balcon du Jura Vaudois ». In 1996 he joined the CHUV to create and manage a purchasing department. In this position, he actively participated to the creation of the Joint Central Purchasing organization of the Vaud and Geneva university hospitals. In 2001, he comes back to Sainte-Croix, as a municipal clerk in charge of the economic promotion of the municipality. In this position he worked as of 2005 for the creation of the Technopôle of Sainte-Croix of which he will in charge of the operational direction until 2013. Married, father of three girls and deeply attached to his region, Michel Staffoni is also an accomplished sportsman passionate in cross-ski and running.